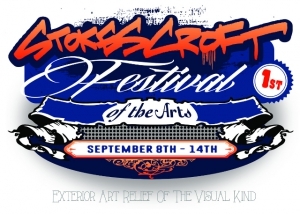 The inaugural Stokes Croft Festival of the Arts showcases the rich vein of creativity that permeates our area. We invite you to come and spend some time in our streets and venues to experience some of our weekly activities. From the Bear Pit in the south to Boston Tea Party in the north, from The Cube cinema in the west to Picton Street in the east, we have music, studio art, street art, performance art, film, workshops, food, drink and even guerrilla gardening so come on down – it’s free and there’s plenty of room for everybody. Who’s Godwin? E.W. Godwin was one of Bristol’s most eminent Victorians: archaeologist, architect, designer of highly original furniture and creator of theatre sets and costumes. He was influential in the Aesthetic Movement that created the “look” of Victorian England. He was passionate about Bristol and its architectural legacy and three of his buildings can be seen in Stokes Croft – the Carriageworks and numbers 74 and 76.